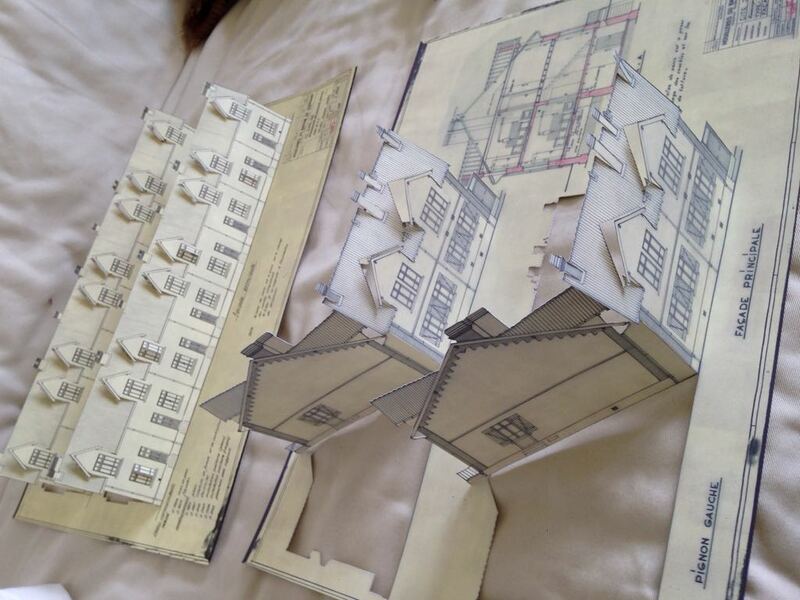 The Moselle industrial archives are home to an incredible wealth of plans for towns, equipment and industries in the Lorraine basin. 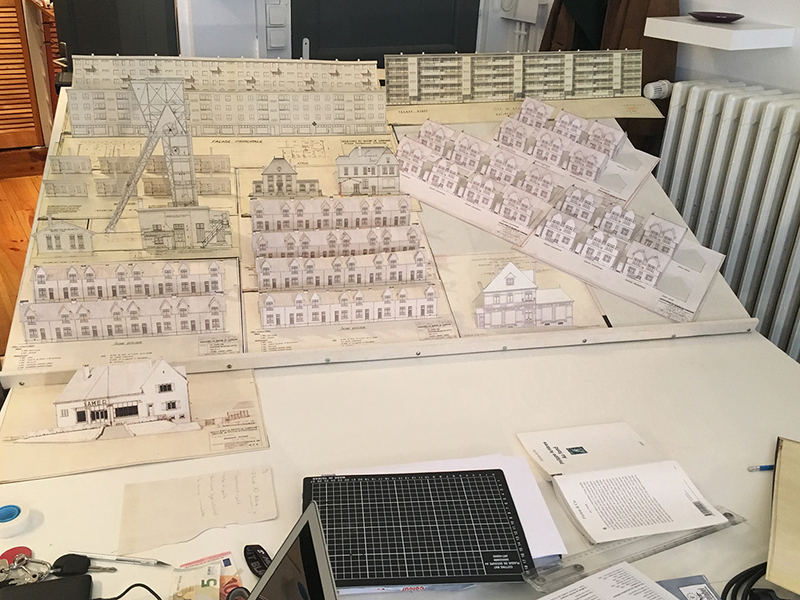 Dreamt up by the architects of the coal mines, these towns were built, inhabited and experienced by their residents. 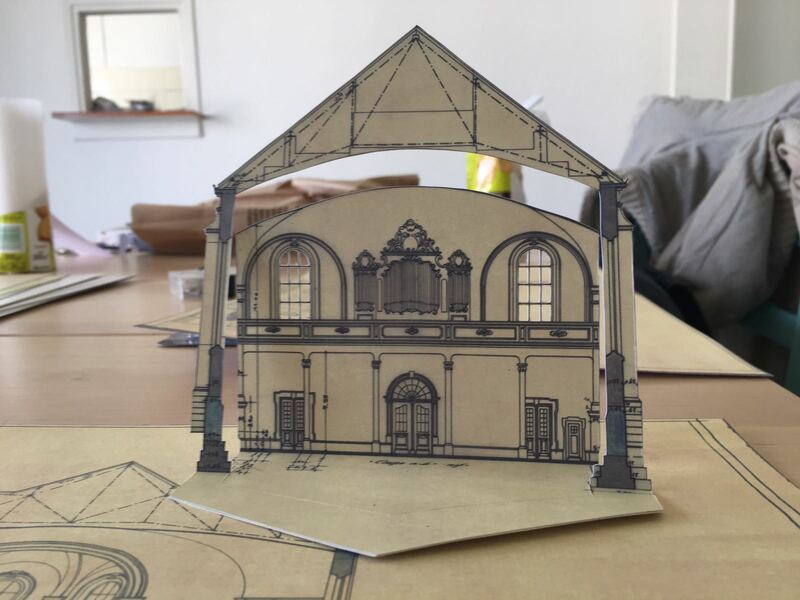 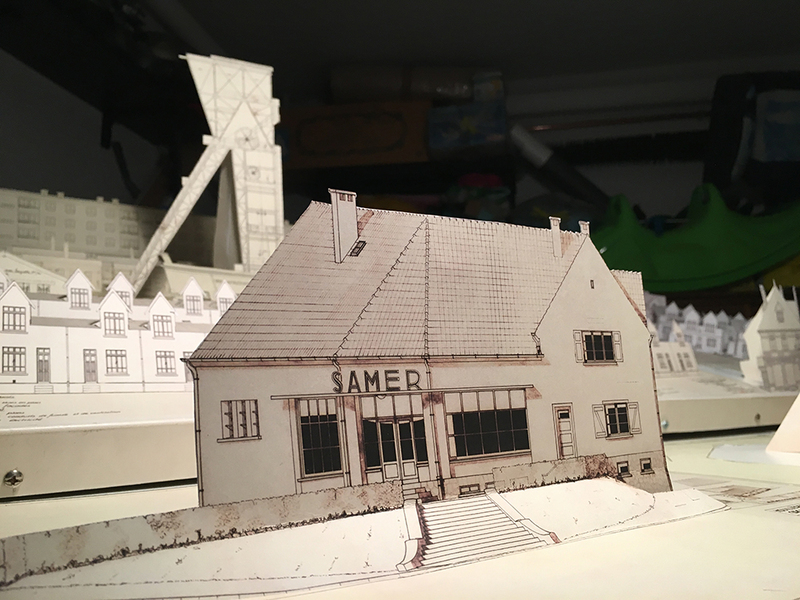 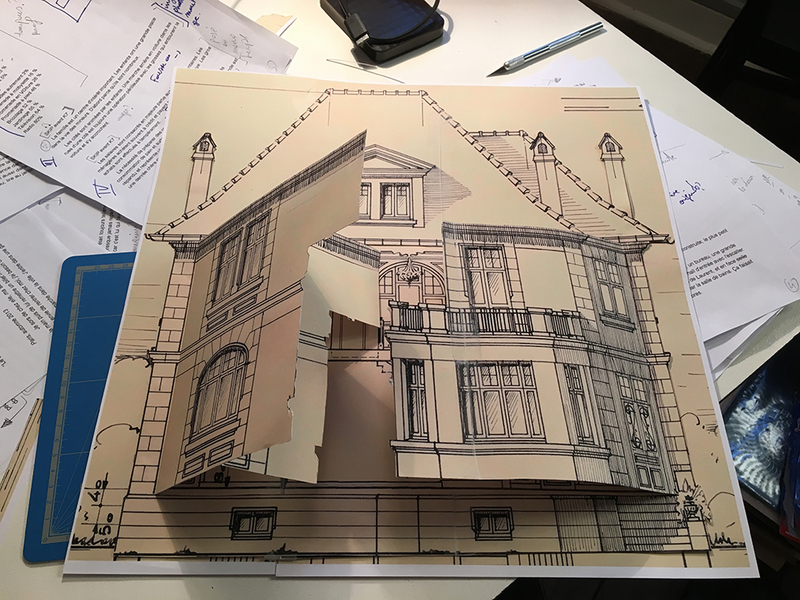 The artists from La Bande Passante gave residents of the region of Saint-Avold the chance to participate in the recreation of these paper towns – the plans of the architects. 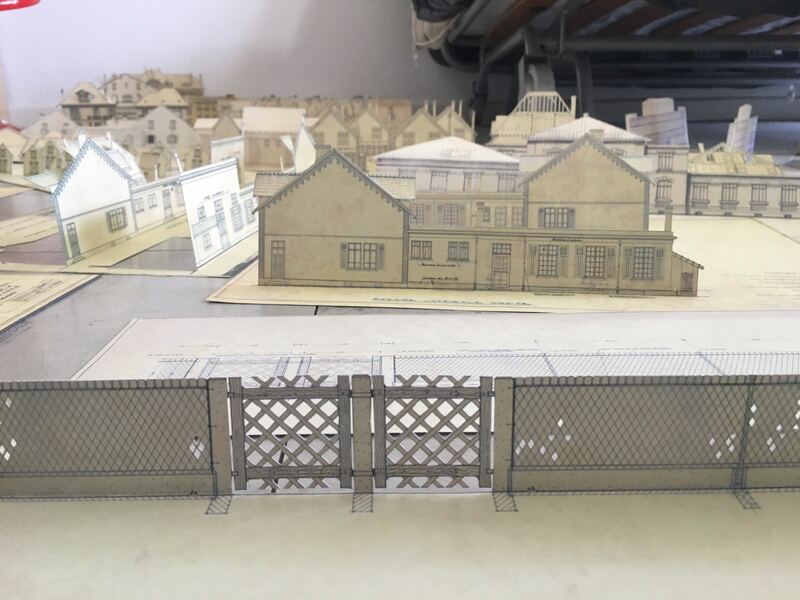 This led to the creation of a large model of the town, which involved painstaking cutting based on the plans for the coal mines in the Lorraine Basin that had been preserved in the archives, accompanied by sound and lights.